I grew up in the small town of Mission, located just a few miles north of the Rio Grande River. In the 1950’s, Mission was the South Texas version of Mayberry and was the setting for my childhood of fun adventures and misadventures — everything from climbing mesquite trees to playing Cowboys and Indians and unintentionally starting a one-alarm fire. Mission has some great mountain bike trails not far from where I grew up. 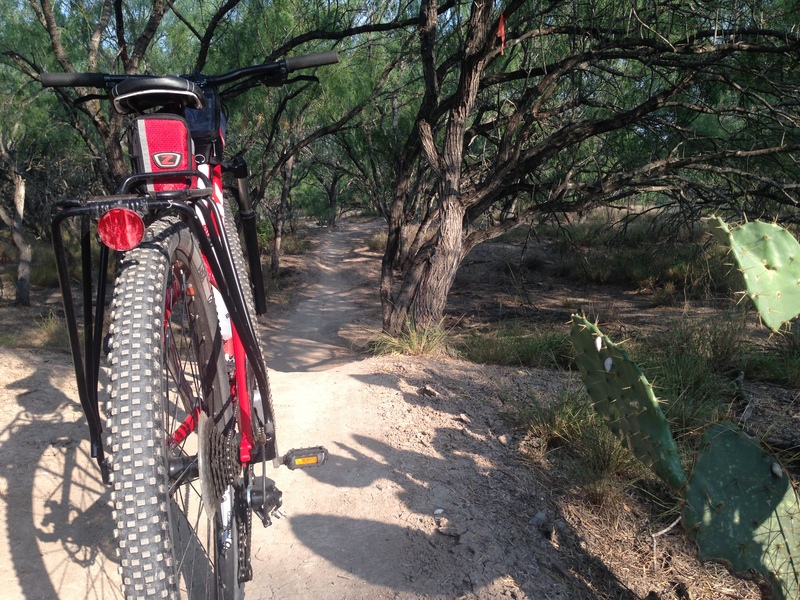 The Mission Hike and Bike Trails offer 5 miles of paved trails and 6 miles of single track trails. 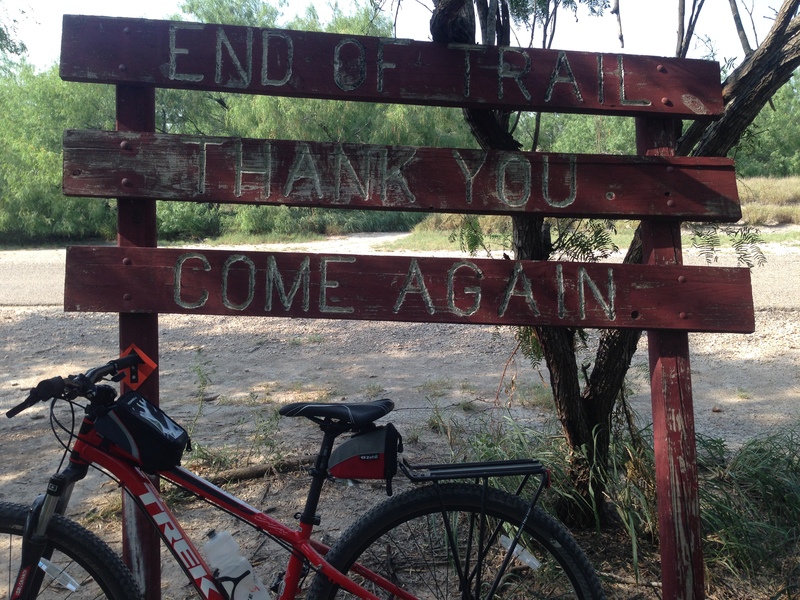 These trails are easily accessed from the trailhead parking lot located on Conway Avenue just south of Highway 183. The paved trail winds its way through the brush and along an irrigation canal all the way to the terminus at the World Birding Center at Bentson State Park. This is a nice trail for road cyclists, walkers, and runners. Bentson State Park is certainly worth a visit. I spent many nights hiking and camping at Bentson as a Boy Scout. The single track trails are fantastic. Kudos to the Mission Trails Club for maintaining these trails. These winding and narrow hard-packed trails are great for trail runners and all levels of mountain bikers, from beginners to expert riders. 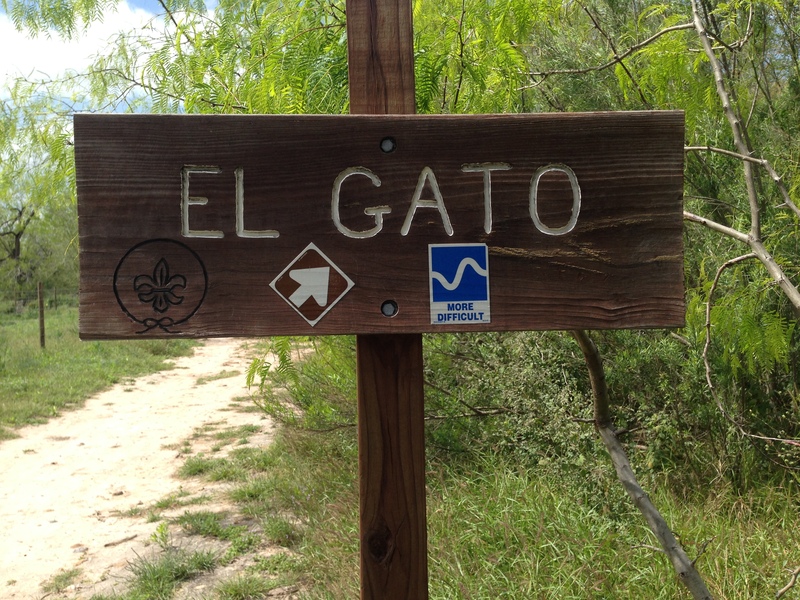 All of the trails are clearly marked, indicate the level of expertise needed to enjoy the trail, and wind their way through cactus and mesquite — great motivators for not losing your balance. I logged 17 miles on the morning of my first ride and enjoyed every minute. I had so much fun that I headed back to the trails after lunch to ride a bit more. I’m glad I did. I tried out some of the more difficult trails and had an absolute blast. I also rode down the paved trail to the World Birding Center and enjoyed a pleasant ride through Bentson State Park. 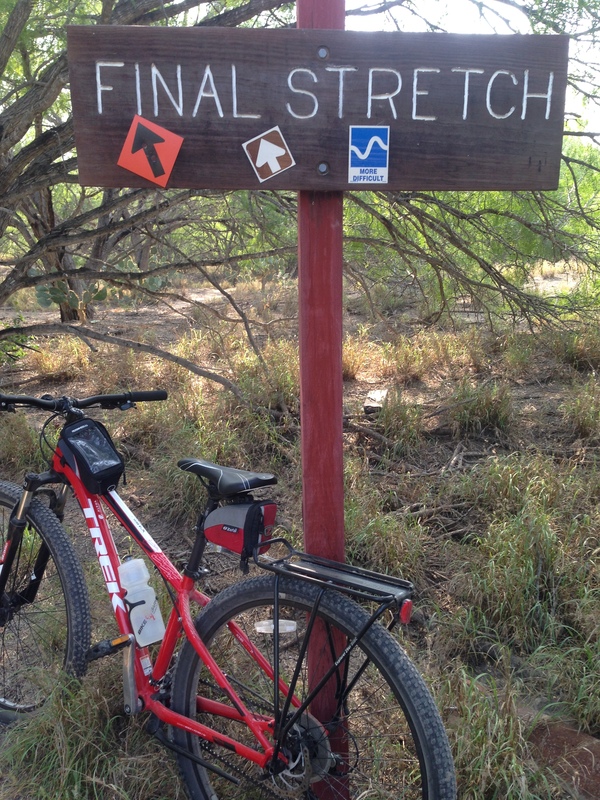 If you enjoy mountain biking and are headed to South Texas, I encourage you to visit the Mission Hike and Bike Trails. You won’t be disappointed. I will never head south again without my mountain bike. I have enjoyed riding the trails near my hometown more than once and look forward to riding them again. 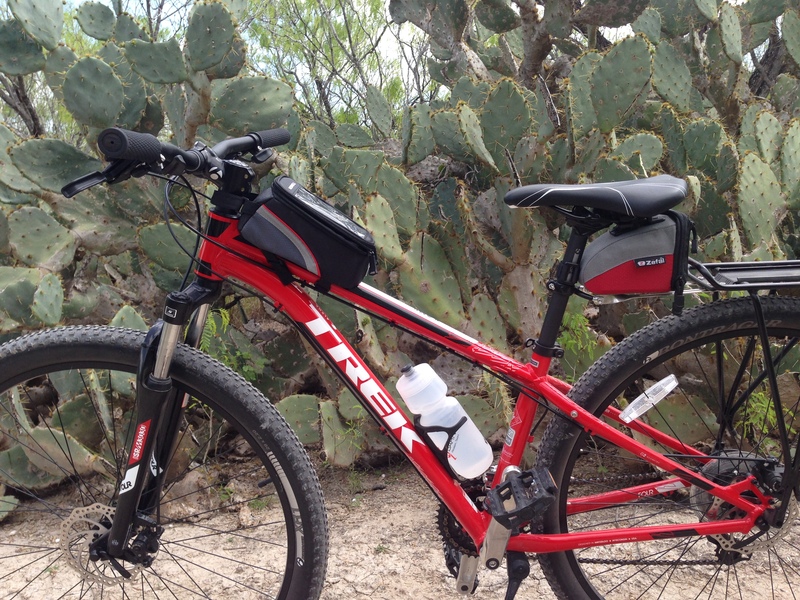 This entry was posted in Mountain Biking and tagged Mission Hike and Bike Trails, Mission Trails Club, Mountain Biking. Bookmark the permalink. I’ll look forward to riding these trails Omar! They look like a lot of fun!!! You will definitely enjoy them, Selim.